I just want to drop this here as a reminder to we Christians. Jesus did not bring religion; He only brought a new life, and that was why He said I am the life (John 14:6, John 11:25). There have been different religions, especially Judaism before the arrival of Jesus, but these religions were not perfect in the sight of God. These religions involved the continuous atonement of people’s sins, using animals’ blood. This was why God came among men in flesh as Jesus to pay the price of ours sins once, and for all, and established new covenant with us with His blood, so we do not need animal blood anymore under the old covenant. This gives us eternal love, mercy, and forgiveness under the Grace of our Lord Jesus Christ. Take a second to imagine, what would have been your fate if Jesus had not come to grant salvation and freedom from the old covenant and law? May you would have been a pagan? Certainly the world’s population will be low, because some countries that are worst than Sodom and Gomorrah would have been wiped-out by now, as God has no room for indiscipline or disobedience under the old covenant and law. He immediately passes judgement on everyone who disobeys Him (in the Old Testament), but thank God for Jesus, who changed everything, who bridged the gap between man and God, giving us a direct access to God with the assurance of forgiveness, love, and mercy. Thank God, for the lamb (Jesus), He already laid His life since the beginning of creation; Jesus (the word of God) is the same since the foundation of the world, today, and forever more (John 1:1-5, Revelation 13:8). Jesus is our life as Christians, without him, we are doomed. Thank you Jesus. So brethren, lets keep in mind that our main purpose in life as Christians is to live a life of Christ by emulating Jesus in all His ways as much as possible, and not chasing after so-called religion. 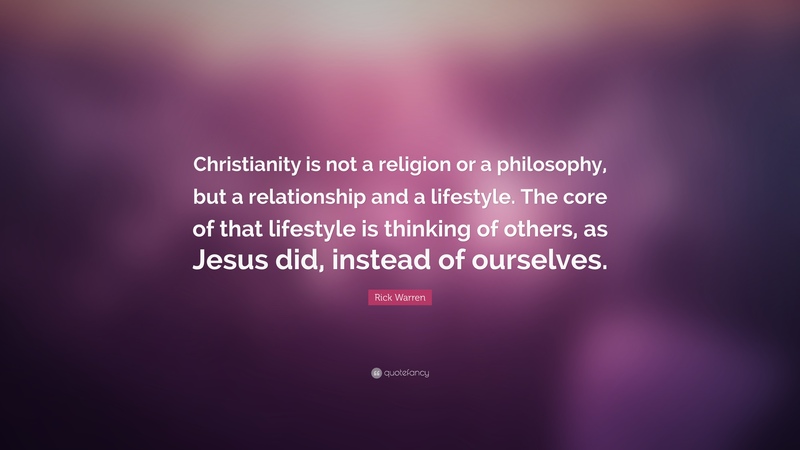 Jesus had no religion but he had a lifestyle, which we should follow. The lifestyle of Christ and the kingdom of God is summed up into this; love God with the whole of your heart and love your neighbour as yourself; anything outside the umbrella of these two commandments is a lie and a scam (Luke 10:27, Mark 12:30-31, John 13:34-35, John 15:12). There is no sermon greater than this (love), but unfortunately we only hear preaching/motivation on how to be rich in churches today. If you are reading this post and not sure of your relationship with Christ yet or not sure if you are under his grace yet, just say this: Dear Jesus, I acknowledge you as the Lord, and believe you died for my sins and rose again. Jesus I accept you as my Lord and saviour. Help me no to fall short of your grace and sanctify me with your truth. Come into my life and stay forever (Amen).